This entry was posted on October 13, 2014 by Posturite. The UK has one of the best road safety records in the world. Despite a massive increase in traffic volumes, the number of people killed on our roads has actually dropped from 5,500 in the 1980’s to under 1,750 in 2012. That’s still 5 lives lost every day and nearly all of them are preventable. About one third of serious and fatal road accidents involve a person who was at work at the time – in total, the number of people killed or injured whilst driving for work adds up to about 200 every week. The insurance industry recognises that businesses actively pursuing increased safety and awareness of risk amongst their fleet drivers should be getting a better deal. Training or educating your staff in assessing risks and staying safer could lead to real savings. 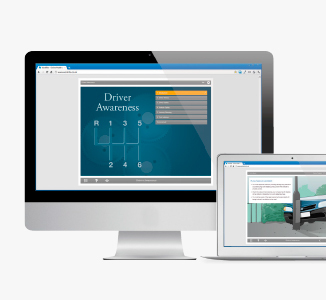 Our WorkRite division has worked in association with TRL (Transport Research Laboratory) to develop their Driver Safety Awareness Course. Packed with information on safety, legal requirements and assessing risk, the course can allow drivers to assess their performance and ability, giving their managers a clear audit trail of issues and where to intervene. TRL is recognised worldwide for transport innovation, evidential research and impartial advice. Commercially independent with over 80 years of knowledge and experience, TRL has been involved with research into road safety and driver behaviour for much of its history and is widely recognised for its expertise in work-related road safety, workplace transport safety and road worker safety. To find out more, speak to your local account manager, visit WorkRite or call us on 0345 345 0030. All WorkRite courses can be trialed for free.